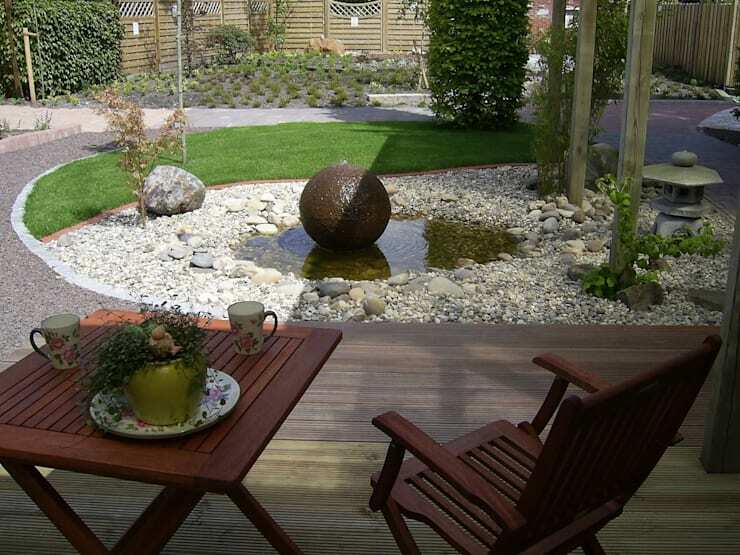 A garden is one thing, but adding a gorgeous patio or terrace will instantly transform it into something super special and enjoyable, all year round. Ask any landscape architect and they'll tell you that a garden without a patio or terrace is simply going to waste, as where will you sit and enjoy all of your beautiful blooms? 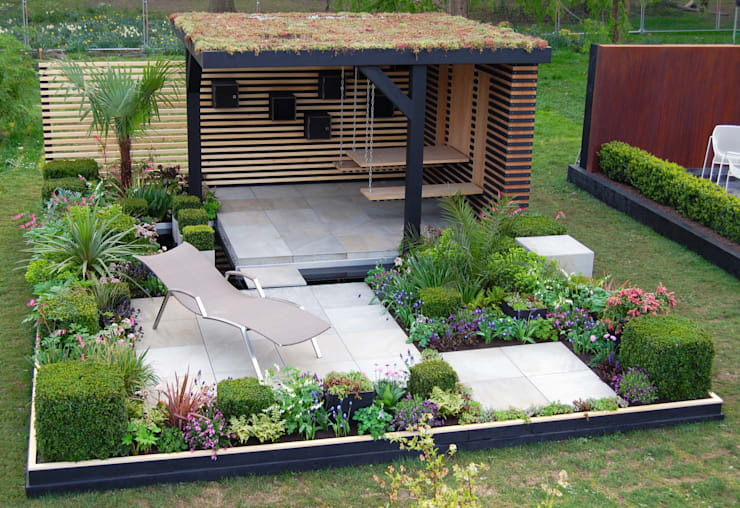 If you need some inspiration to get your creativity flowing, come with us now, as we have found a host of lovely installations that will finish any garden off to perfection! 1. Love the wooden terrace the matches the main body of the house here! So cohesive! 2. 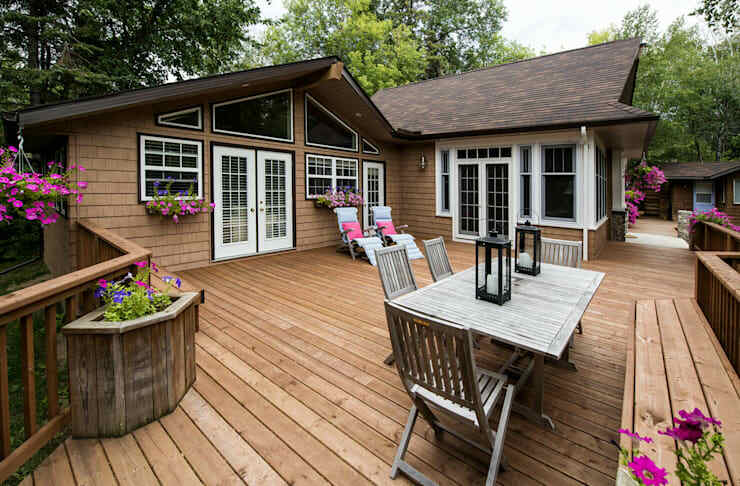 Small and shapely, this divine deck is a lovely little social hangout area. 3. 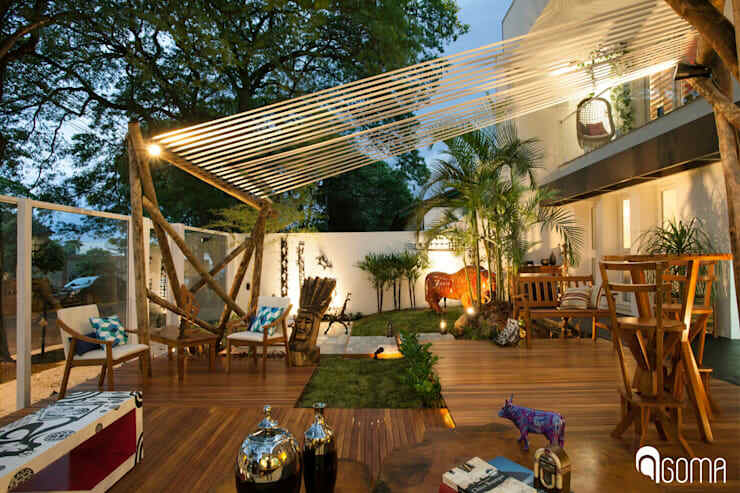 Is this a terrace or a living room? SO cozy and relaxing! 4. Oh hang on, HERE'S the living room patio design! Just look at those lights! 5. 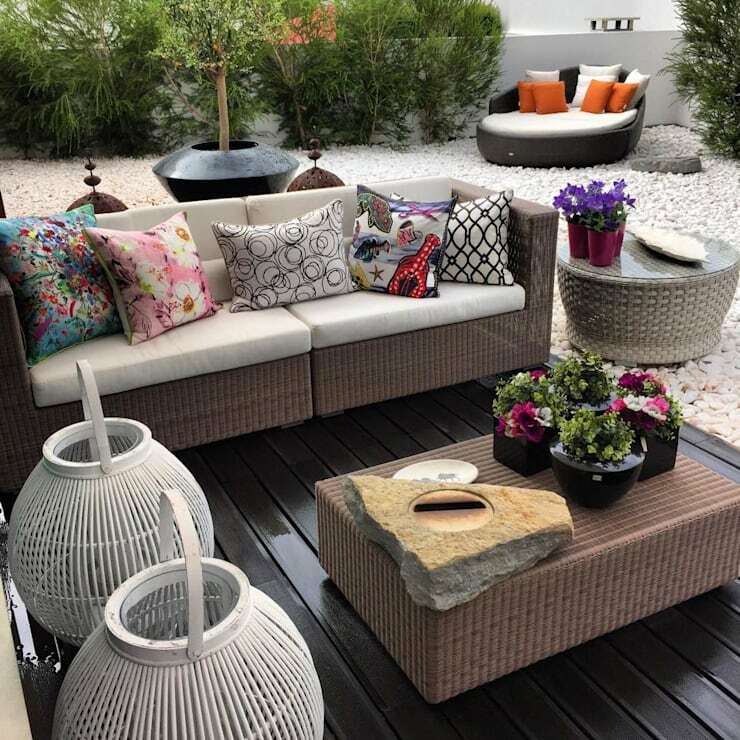 A gravel terrace with hardwood furniture is a simple yet stylish classic! 6. The all-in-one terrace! 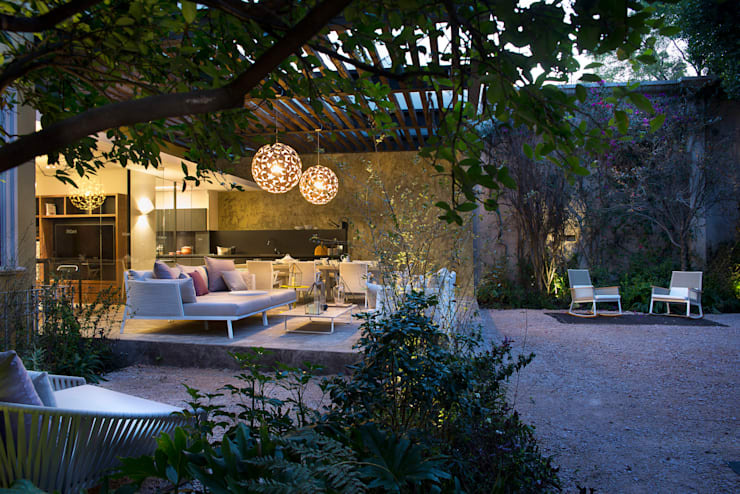 With somewhere to sit, a place to cook and plenty of lighting, this patio is a dream! 7. 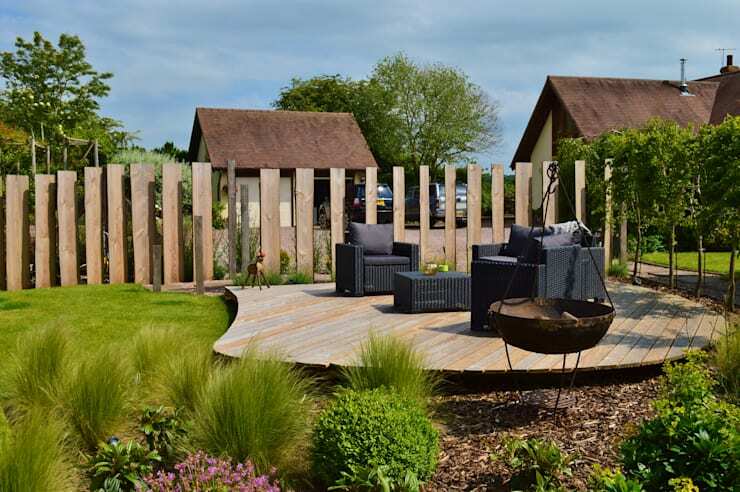 Teak decking is a luxury choice, but so worth it! Look at that rich tone! 8. 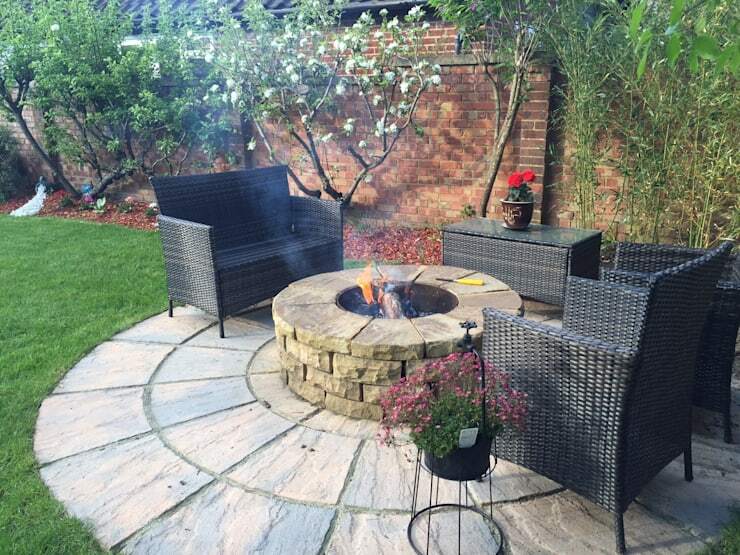 Rugged stone slabs, wicker seating and a hand-built firepit have made this a charming patio with a difference. 9. Sometimes, all a patio needs is a flat surface, some comfortable chairs and a banging view! 10. The holiday vibe of this terrace is incredible! Love the inset flowerbeds that add a little nature back in! 11. 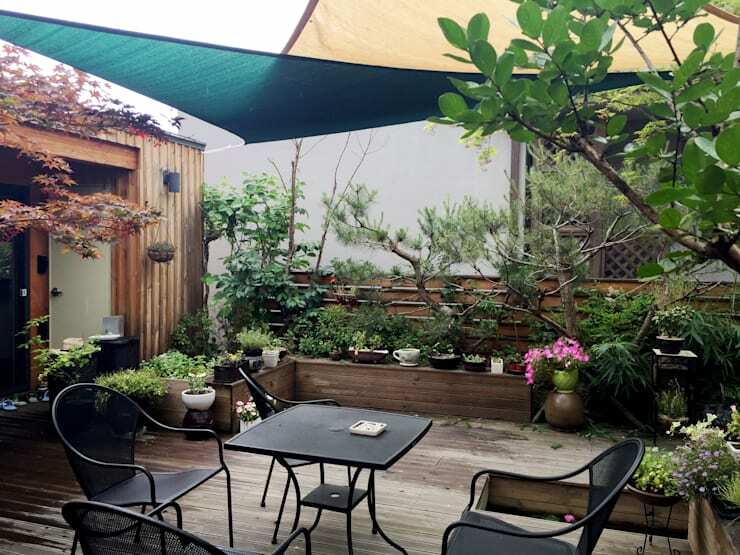 An asymmetrical shade, simple bistro furniture and bustling raised planters all look so beautiful here. 12. Why overcomplicate things when some sleek paving slabs and stylish furniture are all you need? 13. 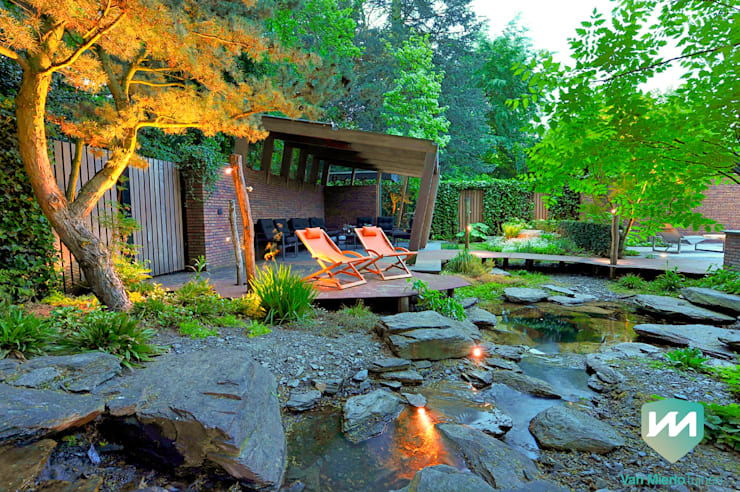 How about a patio that leads out into a much wider terrace fee? From hardwood to gorgeous gravel! These cushions are killing us too! 14. Did you know that decking is actually fairly simple to install, so you could create the perfect patio, all on your own? This one would make us very happy! 15. 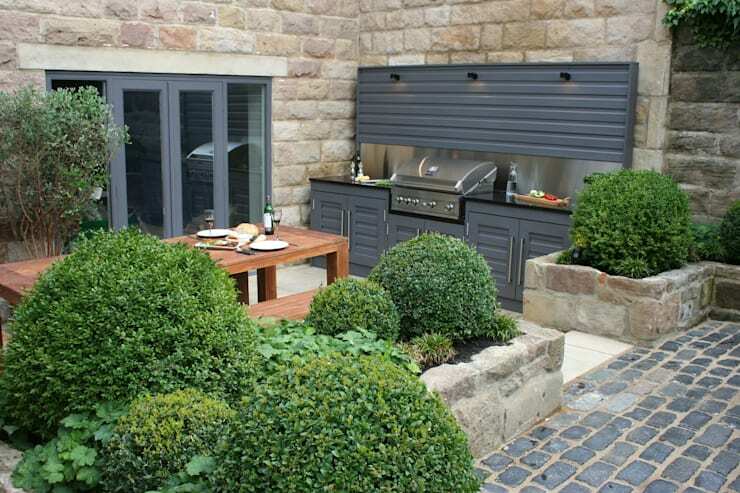 For all-weather garden enjoyment, this rugged stone terrace, complete with grill AND cover is our idea of alfresco heaven. 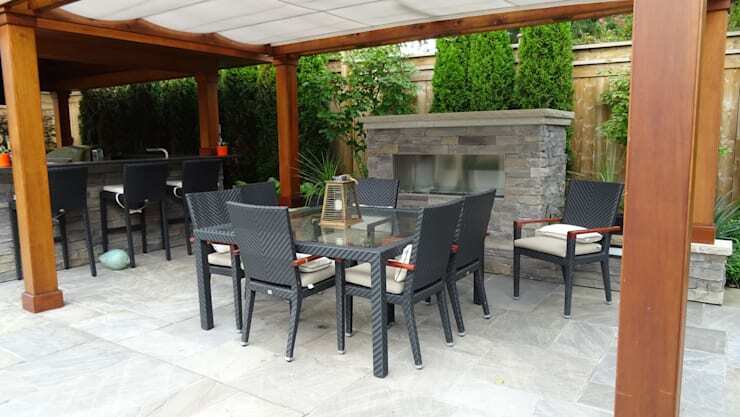 Are you determined to lay a patio ahead of summer now?